WE DO NOT ACCEPT CREDIT CARDS | PAYMENT BY PAYPAL IS COMING SOON (3.5% SURCHARGE). We will send you an invoice together with our bank transfer payment details. 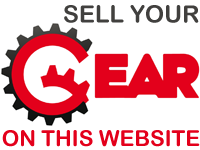 Subscribe to our Used Broadcast Equipment Dealers Newsletter here. Receive a weekly update of all the latest used broadcast equipment for sale by used broadcast equipment dealers.